If you’ve read my book, The Grandparent Economy, you know that my interest in the lifestage is both personal and professional. I was raised by my paternal grandparents from infancy. It was something of a novelty in the late 50’s and early 60’s. Today that is a much different story. This proclamation cites the purpose, “”…to honor grandparents, to give grandparents an opportunity to show love for their children’s children, and to help children become aware of strength, information, and guidance older people can offer”. Nearly one third of all families in the US are grandparent households, largely due to the aging of the huge Baby Boomer population. 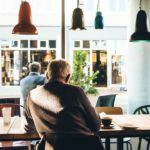 Baby Boomers are a new breed of grandparents – more engaged and financially involved – maintaining their “helicopter” status well into grandparenthood. The other side of the grandparent experience are grandparents who step in to raise their grandchildren, just as mine did more than 50 years ago. More than 2.5 million grandparents are raising their grandchildren. This transcends race and income. The growing numbers are largely due to extended deployments of parents, death of parents, and the opioid crisis. As the opioid crisis affects multiple generations, we are seeing an increase in great grandparents as the primary caregivers for children as well. Many older adults do this at the expense of their own health and retirement savings. In May of 2017, Senator Susan Collins of Maine and Senator Bob Casey of Pennsylvania introduced the “Supporting Grandparents Raising Grandchildren Act” with the support from 40 older adult and advocacy groups. This act was signed into law in July. The U.S. Department of Health and Human Services will coordinate the work of a Federal Advisory Council to provide resources and best practices to support grandparents and other relatives raising children. It’s a great start in providing for the physical and emotional well-being of these special families. I have some thoughts to share from a variety of my favorite organizations. Share the power of intergenerational relationships. Write a 500 word story, create a piece of art (visual or performing) and submit it to the Kraemer IG Story Contest. The contest is now open and will remain open until Oct. 31. Cash prizes will be awarded. Read more and enter now! 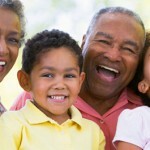 Do you have a grandparent or great grandparent living away from you and your family? Loved1 delivers a gift box of thoughtfully curated products that focus on healthy living, quality of life, nutrition, and fun. You receive an email detailing the items in the box and an Engagement Guide to encourage great discussions and interactions with your family member. GRAND – the digital magazine for living the ageless life – is now available for FREE. If you are a grandparent, it is the ultimate guide to this stage of life. If you know a grandparent who would enjoy GRAND, subscribe for them as a gift! Check out GRAND’s site as well for more excellent information. To get your FREE subscription, click here! A few months ago, my husband’s mom passed away. She had cancer and spent her final days in hospice. I must admit watching my father-in-law deal with the loss has been truly eye-opening. My mother-in-law not only did most of their cooking and cleaning, but managed their finances as well. We’ve been helping my father-in-law work through his grief, while also helping him learn to live on his own. I’ve shown him how to cook some easy recipes, my husband has taken over his finances, and we’ve tried to get additional help here and there to fill in the gaps. I’ve learned a lot about what I need to be doing to help my own parents as they age, and I’d love to share my experiences with others. The loss of a spouse is a devastating life event. For seniors, many who have been with their partners for decades and decades, it can be an enormous blow to their mental health. Not only do you face crippling sadness, loneliness, and depression, but you have to cope while also handling final arrangements, dealing with life insurance policies and the will, and doing what you can to avoid clashing with family. That’s why it’s vital that you make your mental well-being your #1 priority during this trying time. “Numerous research studies have demonstrated spousal bereavement is a major source of life stress that often leaves people vulnerable to later problems, including depression, chronic stress, and reduced life expectancy,” notes Psychology Today. It is counterproductive to try to convince yourself to get over your grief, or to listen to people who tell you that there should be a time limit on your mourning. While prolonged depression stemming from the loss of a spouse can lead to health problems, attempting to suppress grief can also be incredibly detrimental. Know that you are allowed to feel sad, and never try to speed up your grieving process. One of the best ways to begin the grieving process is to have a service for your spouse. Whether the service is a funeral or for cremation, this is an important first step. A service honors your spouse, brings family together, begins the healing process, and may bring loved ones the closure they need. You might think that it’s okay to develop a few bad habits because you’re just getting through the hard times and these new habits aren’t part of your normal lifestyle, just part of the grieving process. 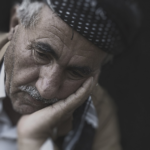 But relying on alcohol, smoking, drugs, or overeating to help you cope with your emotional pain is even more dangerous for seniors than for younger people. Alcohol, for example, exacerbates mental health problems like anxiety and depression and is a leading cause of heart disease, diabetes, and some forms of cancer. Not only that, but seniors tend to already be on more medications, which can have negative interactions with other substances. The best thing you can do for your brain is to eat right and exercise. Getting enough physical activity helps our brain produce chemicals that improve our mood. What we put in our bodies is our fuel, and if you feed yourself subpar fuel, you’re going to have poor performance. If you want to help your brain battle depression and anxiety, stick to a healthy diet and be sure to get at least 30-45 minutes of moderate activity per day. “Research in humans shows that exercise can stimulate the brain’s ability to maintain old network connections and make new ones vital to healthy cognition,” says the National Institutes of Health. When dealing with the loss of a spouse, many seniors tend to self-isolate. But this is one of the worst things you can do for your mental health. Talking with family and friends is one of the best ways to overcome excessive grief. 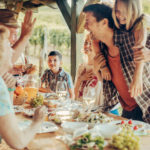 “The most compassionate self-action you can take is to find a support system of caring friends and relatives who will provide the understanding you need,” says Oprah.com. Another way to talk to people about your grief is to join a grief group or seek counseling. These options may be available either locally or online. There is no magic bullet for dealing with the devastating grief that comes with losing a spouse. But if you make a point to focus on your own mental health, you’ll be much more likely to succeed. Elderville.org is a resource guide for everything related to seniors. We connect our readers to reliable sources on the internet so they don’t have to spend time searching. We have safety tips for daily activities, and resources that range from healthcare to volunteering.